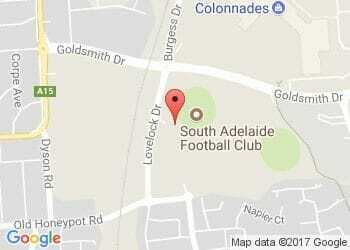 This Sunday South Adelaide face Adelaide Crows SANFL team in a do-or-die Semi Final at Adelaide Oval from 12:10pm. Last weekend the Panthers got their 2016 finals campaign underway in the Qualifying Final against Sturt. Unfortunately, the Double Blues came away with the victory. Fortunately, the Panthers hold a double-chance and will get a second go at September glory this weekend. Further compounding the Panthers pain, they not only lost the match to Sturt last Saturday, but they also lost emerging utility Tyson Brown for the remainder of the season after the 23-year-old injured his hamstring in the opening minutes of the Qualifying Final. Brad Gotch and co. have given themselves plenty of options to replace the versatile Brown. Coming into the 23-man squad to face Adelaide, which must be trimmed by two before the first bounce on Sunday, is the speed and excitement of Emmanuel Irra, experience and versatility of Nathan Daniel and strength and size of Alex Cailotto. Each player has enjoyed stints with the League side in 2016 and has been in good form in the Reserves at the back end of the season. Over the past month, Irra has averaged 27.3 touches per game, while also kicking three goals and handing out 10 score assists. Likewise, Daniel has collected plenty of Burley across halfback over the last month (24.3 possessions a game), while Cailotto has been a rock in defence since returning from an ankle injury suffered in the seniors Round 10 battle against North Adelaide. Can't Make it to Adelaide Oval? If you cannot make it to Adelaide Oval on the weekend download the SAFC App for live scores, stats and radio call of the game! The SAFC App is available for free download from both the App Store and Google Play. Meanwhile, the match will also be broadcast live on Channel 7 and streamed via 7live.com.au - make sure to set your location to SA if you are watching from interstate. Sign up as a 2017 Panthers Member at this weekend's game and you'll not only get it at 2016 prices, but you'' also go into the draw to win a SANFL Grand Final Roof Climb experience for two at Adelaide Oval! Come and see us in the Eastern Stand this Sunday for your chance to win!